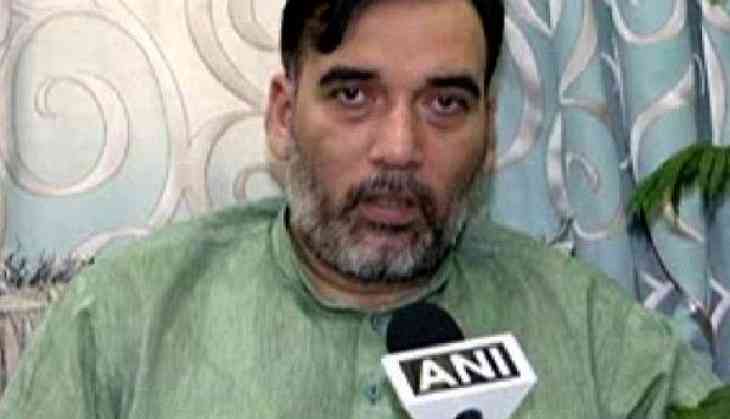 Delhi Cabinet Minister Gopal Rai on 19 May said he would request Lieutenant Governor Anil Baijal to take serious action against the Delhi Development Authority (DDA) officials for demolition of a shelter home. "I would request the Lieutenant Governor to take some serious action against DDA officials for showing such inhuman behaviour by demolishing the shelter home of homeless people," Rai told ANI. He said that the state government would rehabilitate homeless including women and children. On Thursday, a children home shelter ' SPYM-Wishes and Blessing Home', where over 50-60 small children used to live, was demolished. SPYM is a Delhi Government aided Non-Governmental Organisation (NGO) and they were provided by land by the government. "SPYM-All wishes and Blessing home is my home. 50-60 children used to live in this home and we adopted this place in 2014 from the Delhi Government's Raen Basera policy and transformed it into SPYM-Wishes and Blessings Home. There are 60 children and 15 females here, who were all abandoned at one time. Out of these 60 children, 45 go to schools. Today, DDA people arrived and demolished our home," SPYM owner told ANI.